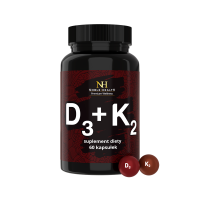 Christmas Bundle - Memory and Concentration - Natural dermocosmetics and dietary supplements. Collagen creams. Ashwagandha, also known as Indian ginseng or withania somnifera, is one the most important herb of Ayurveda - the traditional Indian medicine. It was strongly believed that it has soothing and relaxing properties. The very name withania somnifera in Latin means "sleep-inducing". Now you discover this herb's properties yourself thanks to Ashwagandha from the Basic line. 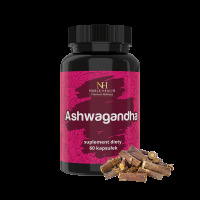 Ashwagandha helps maintain physical and psychological capabilities when being fatigued and concentration loss. Product ingredient: ashwagandha root extract (Withania somnifera), gelatine. 1. Who should use the Ashwagandha product? 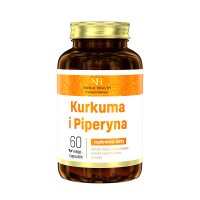 Everyone who wants to boost their body when feeling weakened or fatigued. 2. What is the composition of Ashwagandha? Ashwagandha belongs to the Basic product line, therefore its composition is very simple - without unnecessary additives. Ingredients: ashwagandha (Withania somnifera) root extract, gelatine. 3. 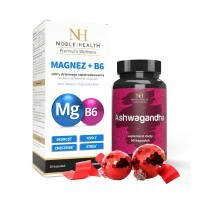 What are the ashwagandha properties? 4. How to use the Ashwagandha product? 5. How to store Ashwagandha? 7. What is the net weight of Ashwagandha? 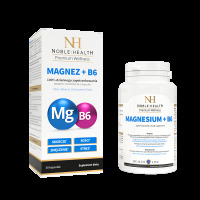 The weight of the product is 19.74 g.
I take magnesium for a long time and I know which ingredients work and how they are absorbed, this one is the first class!